Kids simple knits are usually very expensive in Australia, with a double pack of these body suits usually $18 from target, which are probably also made by children in terrible conditions, so I decided to have a go at making them myself, with decidedly mixed results. The pattern I chose was Jalie 3133, which is a bit larger than A4 and is printed on sturdy paper. If you’ve never made Jalie patterns before, they are designed to be traced and used over and over again, which is quite fantastic as some of the patterns come in 22 sizes, from children’s to adults. Sadly 3133 only goes up to 2 years, so you’ll miss out on the striking image of myself in a bodysuit. We all have our disappointments in life. The first 3 were not terribly successful, but for varying reasons. This blue and purple jumpsuit I sewed the shoulders around the wrong way. So the first step is to clear mark the pattern back piece. When putting the sleeves onto the crossed over shoulders it’s really easy to not pay enough attention. This is actually the view from the back. Whoops! 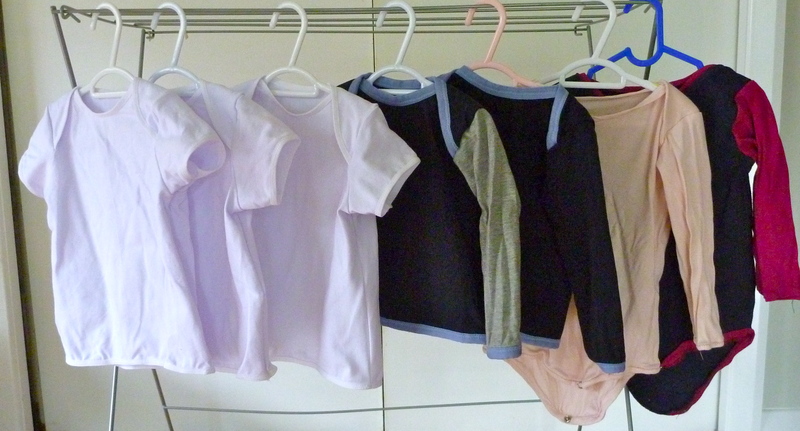 The second and third jumpsuits were made out of a very stretchy organic cotton, which was so unsuitable for this. Even using iron on stabilising tape, the right needles, “0” pressure on my pressed foot this stretched out horribly. Are shown below, the shoulders just fall off the coat hanger. These two were too difficult to stabilise the binding and they stretched out horribly. Then, to add insult to injury the snaps would just not stay on. At this point I was just going to write this pattern off as a loss. 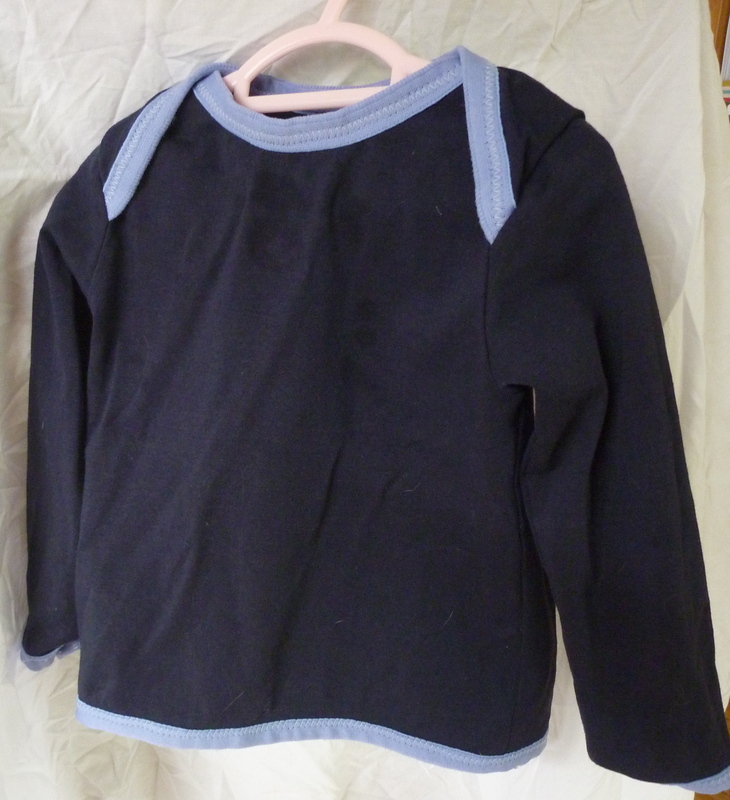 The binding strips for the neckline were just too annoying, hemming the tiny little sleeve was annoying, and the snaps fell off. 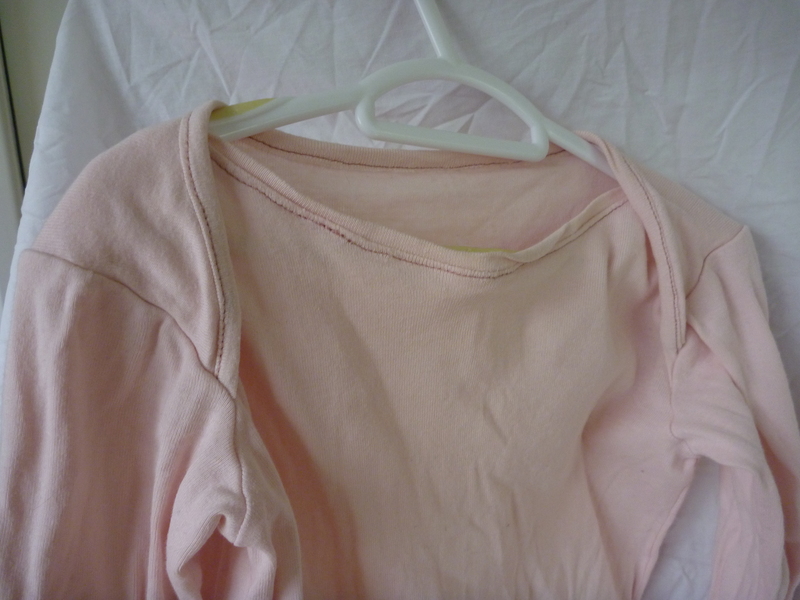 Cue Fold Over Elastic and the raglan tee! Realistically, little miss is getting too big for onesies now, but raglan tee’s are still great to get over her giant head. Modifying the bottom of the pattern (read here that I just folded up the ends of the front and back pieces) this was looking a little more promising. Then, I decided to finish ALL the pieces with fold over elastic first following roughly this process here. 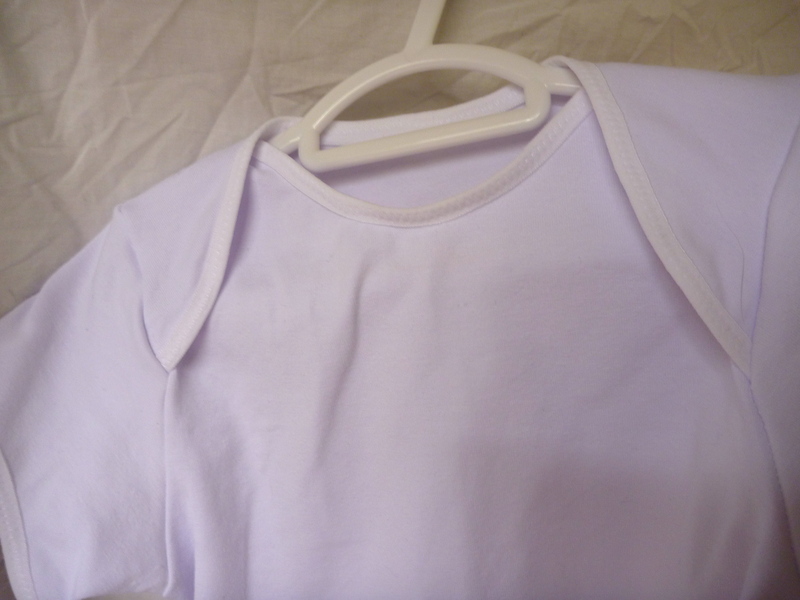 The sleeves, front and back hem and the front and back neckline were all finished first using the fold over elastic. I’m pretty happy with the final finish. Experimenting with two different sizes of FOE, the thinner size seems to look nicer, which I buy from Bumbino, and Australian ebay store based in WA. 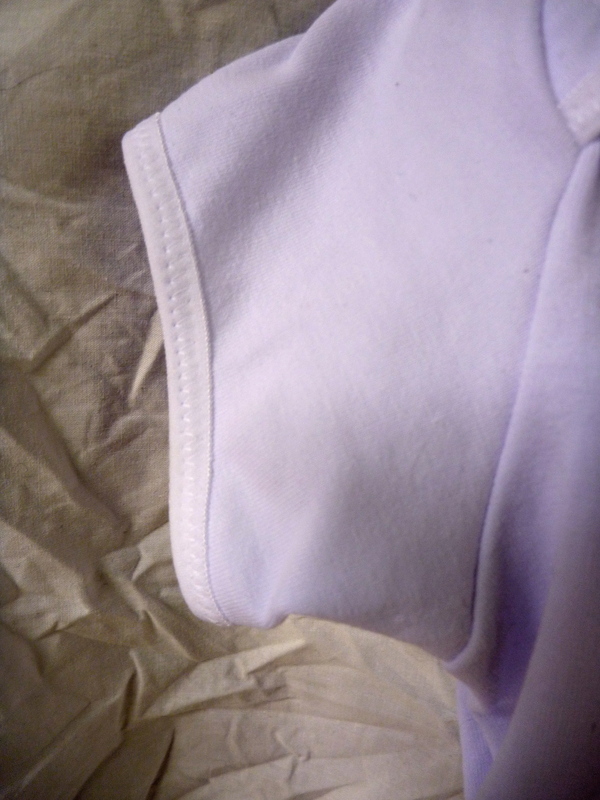 The next step was just to attach the sleeves to the front and back pieces, overlock, then overlock the sleeves and body. Too easy! The final Jalie 3133 count? Overall, this pattern is really (and surprisingly) turned out to be a Tried and True pattern! I just wished it went up a few more sizes now. I admire your patience Sarah. The fold over elastic tip is gold… Thanks for sharing. What a labour of love! Though that fold over elastic seems to be a lifesaver! Thanks! Sorry for the terribly late reply, I didn’t notice these had snuck through to the spam! I would give it a try on undies, but the thicker one might be a little wide. I’m thinking about trying the Jalie undies pattern with it…however the sewing list is mind boggling already so it might be awhile.